Nkiru read International Relations and French at the University of Leeds and converted to Law at City University in 2013. In 2016 she achieved a Distinction in the Legal Practice Course at the University of Law. Nkiru initially joined the firm in the billing department in 2014. She then went on to become a public law caseworker and subsequently trained in our public law department. Nkiru is IAAS level 2 accredited in Immigration and Asylum work. Nkiru qualified as a solicitor in November 2018. 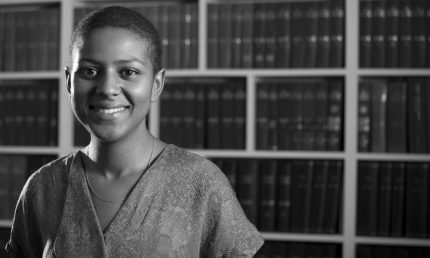 Nkiru has experience in a range of public law and human rights challenges against government decisions but specialises in bringing claims arising from the unlawful use of immigration detention. Nkiru regularly works with vulnerable clients, including unaccompanied asylum-seeking children, victims of trafficking and victims of human rights abuses and torture. Whilst studying for her undergraduate degree, Nkiru spent time working at the Human Rights Commission in Lomé in Togo investigating and reporting on human rights protection in prisons and refugee camps. Before coming to Wilsons Nkiru worked for an education charity based in Sierra Leone, before volunteering at the Hackney Migrant Centre. Interests: Plants and live music.